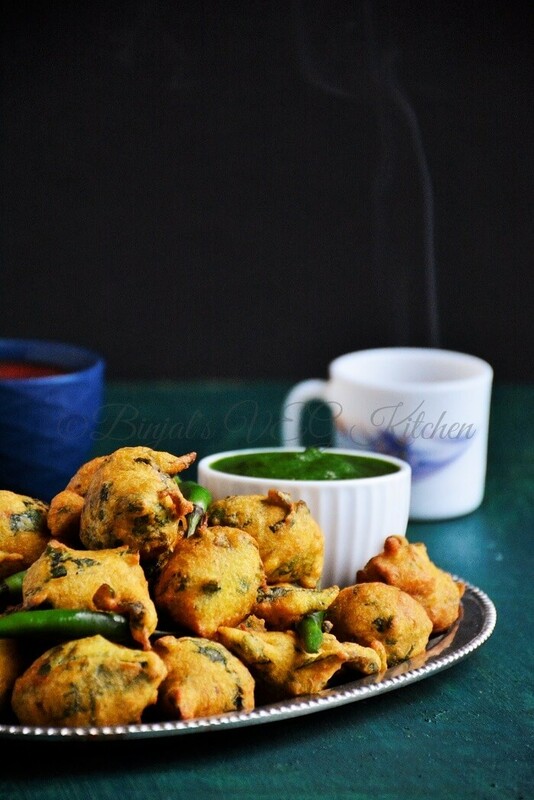 Palak Moong Dal Pakoda is very delicious, crispy and healthy tea time snack even though it’s deep fried. 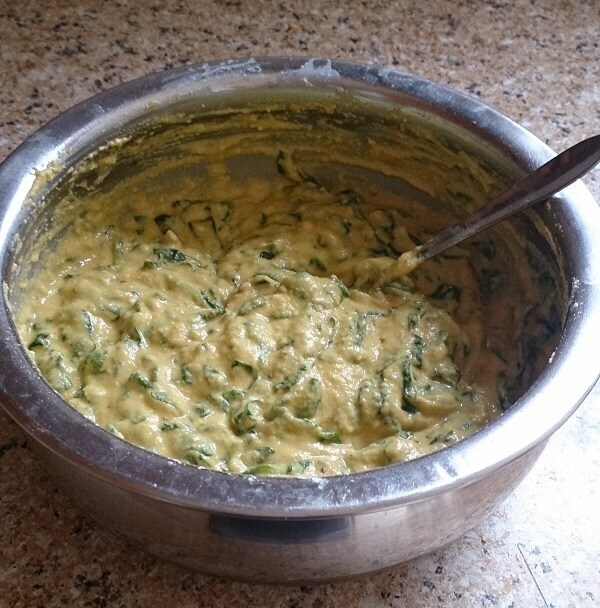 Palak Moong Dal Pakoda is prepared with spinach leaves and moong dal. This spicy delicious snack is crispy outside and soft inside. It is one of the most popular dish in rainy season when you are crave and looking for something to eat with tea. 1. Wash and soak moong dal for 1-2 hours. 2. Drain dal, add into a blender, blend it coarsely and keep aside. 3. Wash and chop Palak/spinach, add into a bowl. 4. Now add chopped onion, blended moong dal, salt, coriander seeds, carom seeds, red chili powder, chopped green chili, lemon juice, salt, turmeric powder, pinch of baking soda into the same bowl. 5. Mix it well and make thick batter, use little water if required. 6. Heat oil in the deep frying pan. Once oil hot enough, drop small small balls into the hot oil with your hand or spoon and fry them until all sides becomes golden brown. 7. Remove Pakodas on absorbent paper, use same process for remaining batter and make Pakodas. 8. 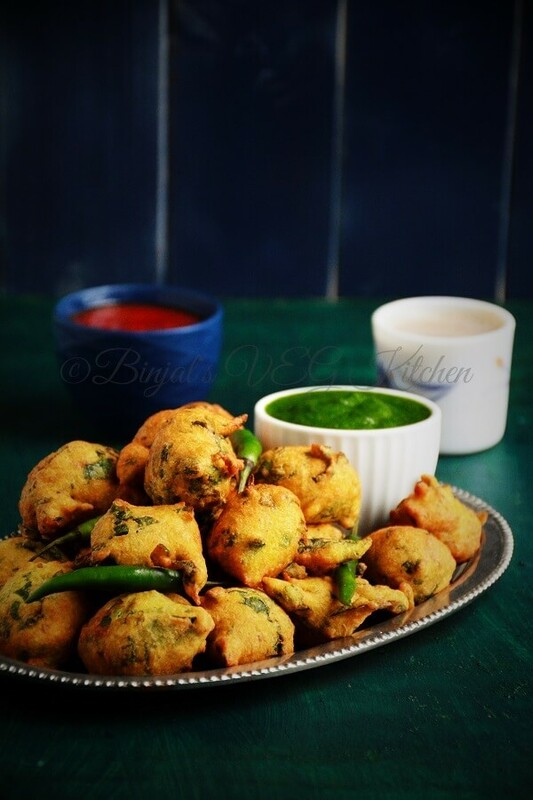 Your Palak Moong Dal Pakoda is ready to serve with green chutney, ketchup or hot tea. 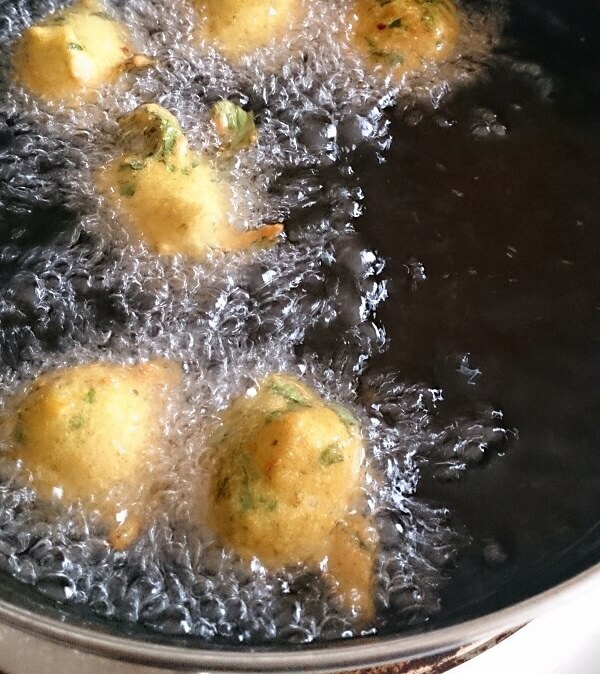 • Fry Pakoda on medium hot oil. 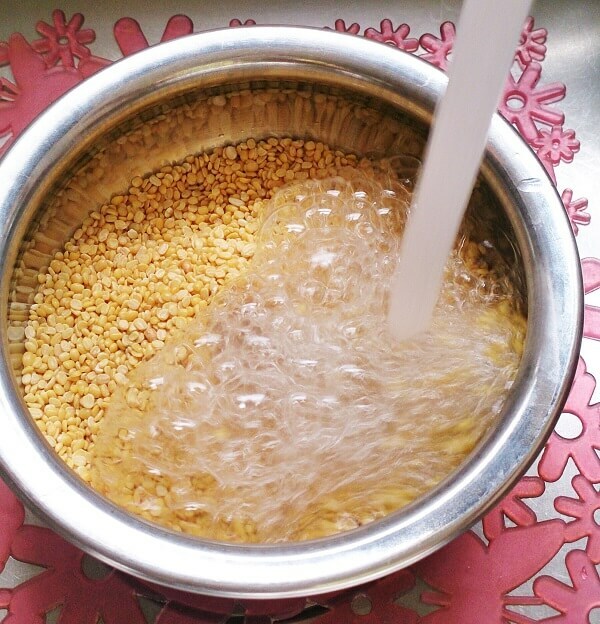 • Do not add water while blending moong dal, if require then add very little. • If your batter is thin then you can add chickpeas flour/besan. Wash and soak moong dal for 1-2 hours. 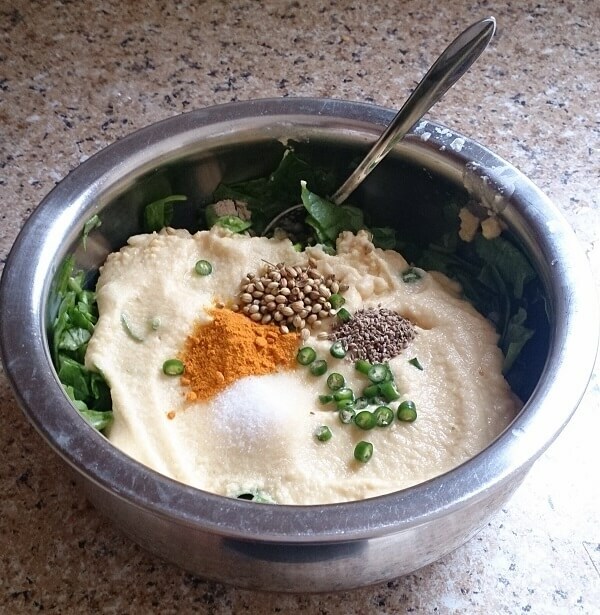 Drain dal, add into a blender, blend it coarsely and keep aside. 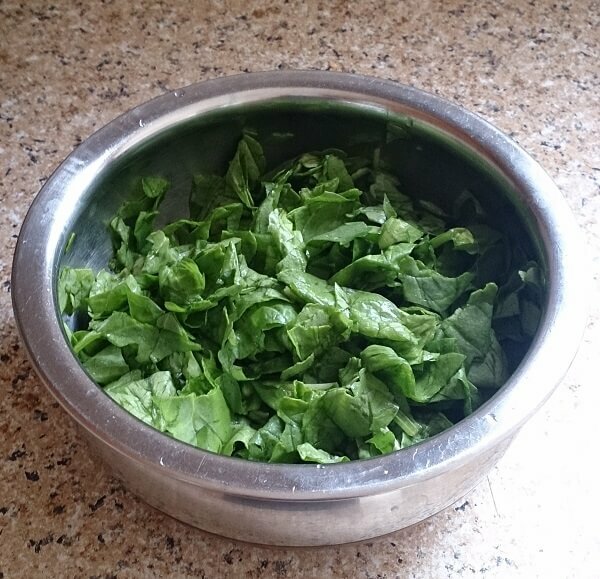 Wash and chop Palak/spinach, add into a bowl. Now add chopped onion, blended moong dal, salt, coriander seeds, carom seeds, red chili powder, chopped green chili, lemon juice, salt, turmeric powder, pinch of baking soda into the same bowl. Mix it well and make thick batter, use little water if required. Heat oil in the deep frying pan. Once oil hot enough, drop small small balls into the hot oil with your hand or spoon and fry them until all sides becomes golden brown. Remove Pakodas on absorbent paper, use same process for remaining batter and make Pakodas. 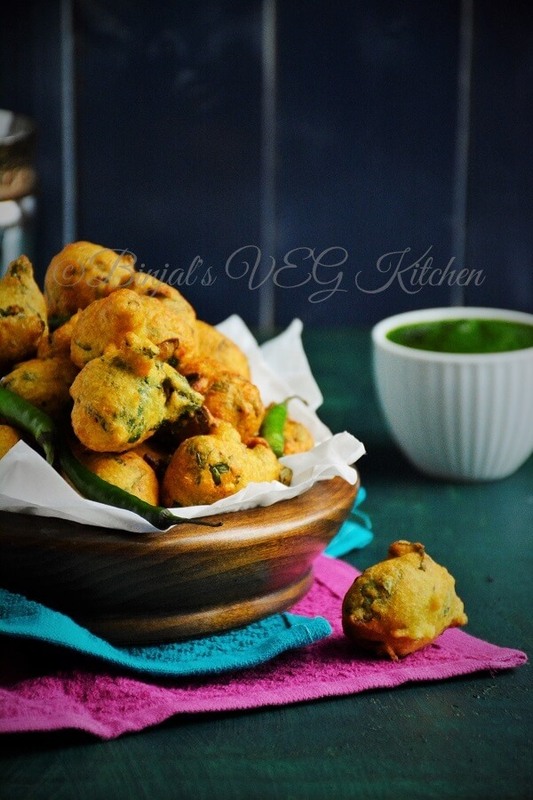 Your Palak Moong Dal Pakoda is ready to serve with green chutney, ketchup or hot tea. DROOLING!!! 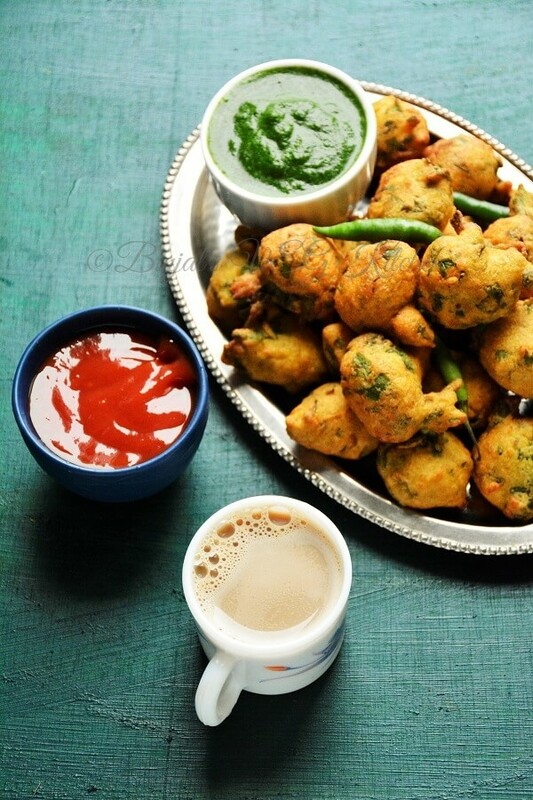 Send me a big plate of these pakoras please! Look so good! could you please give the recipes for the two dipping sauces shown? I would love to prepare this for my daughter! its chutney, you can check in chutney section. I am sure you will like it! !